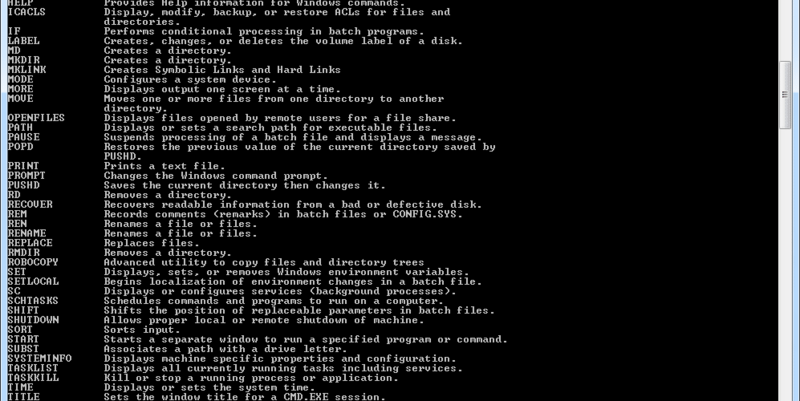 Command Prompt, also known as cmd.exe or cmd (after its executable file name), is the command-line interpreter on Windows NT, Windows CE, OS/2 and eComStation operating systems. It is the counterpart of COMMAND.COM in DOS and Windows 9x systems (where it is also called “MS-DOS Prompt”), and analogous to the Unix shells used on Unix-like systems. – Windows by default doesn’t know the following extensions, but check anyways with “assoc .”, “assoc .htaccess” and “assoc .xml” anyways just to be sure. If the extension is defined already, then you may not need to change it.